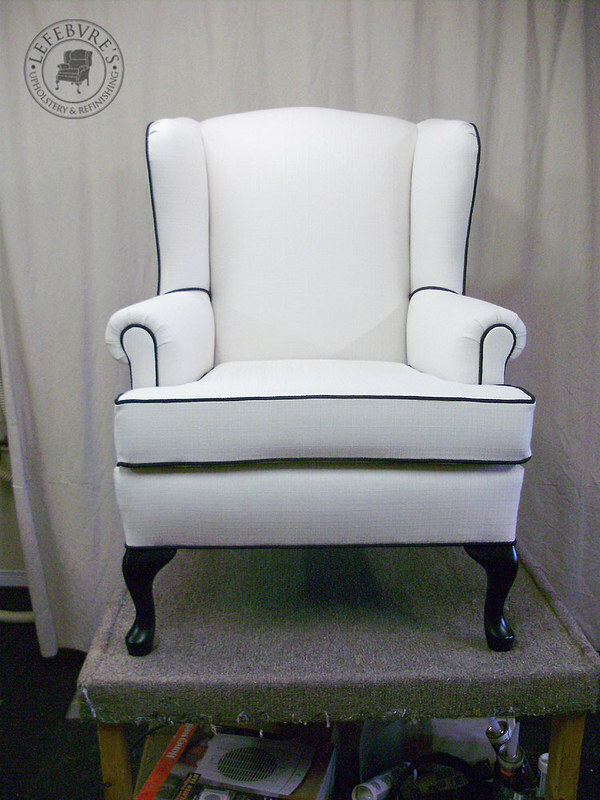 These 4 different chairs all got a matching black and white treatment with contrasting piping. 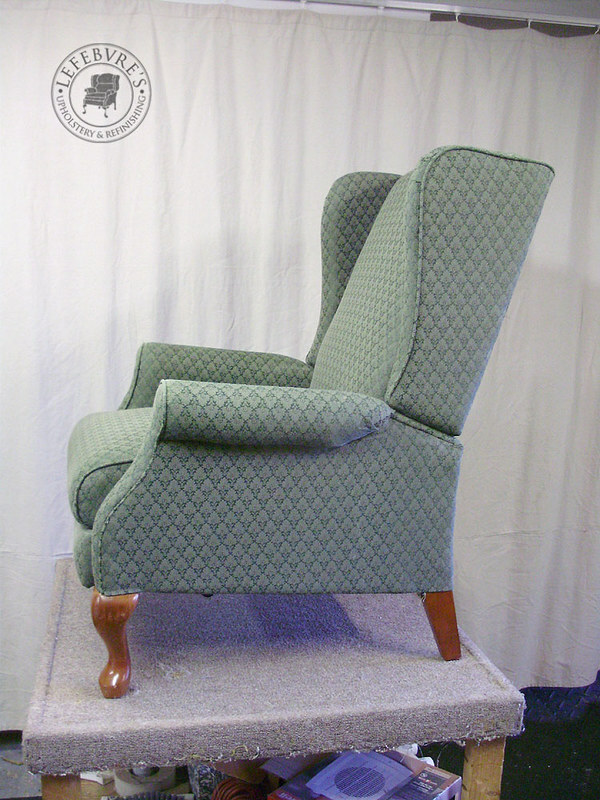 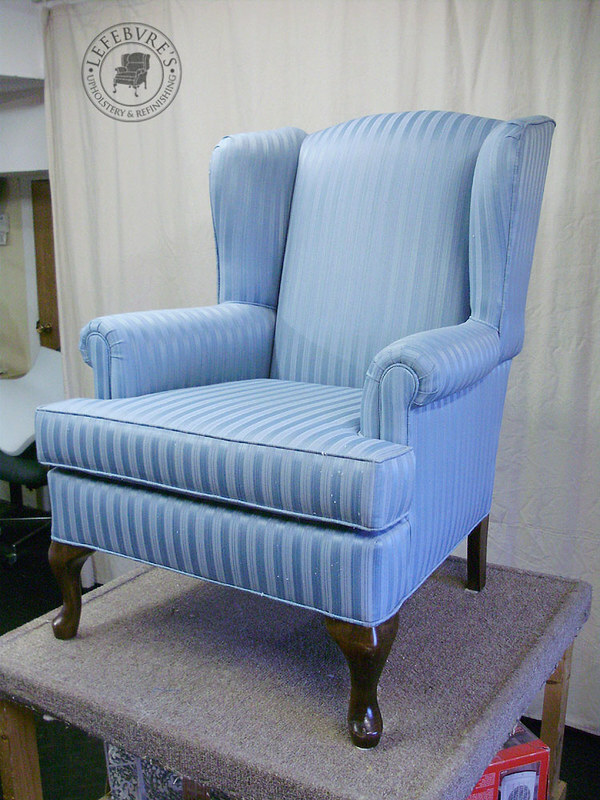 These included two blue chairs, a green reclining wing chair, and a plaid reclining wing chair. 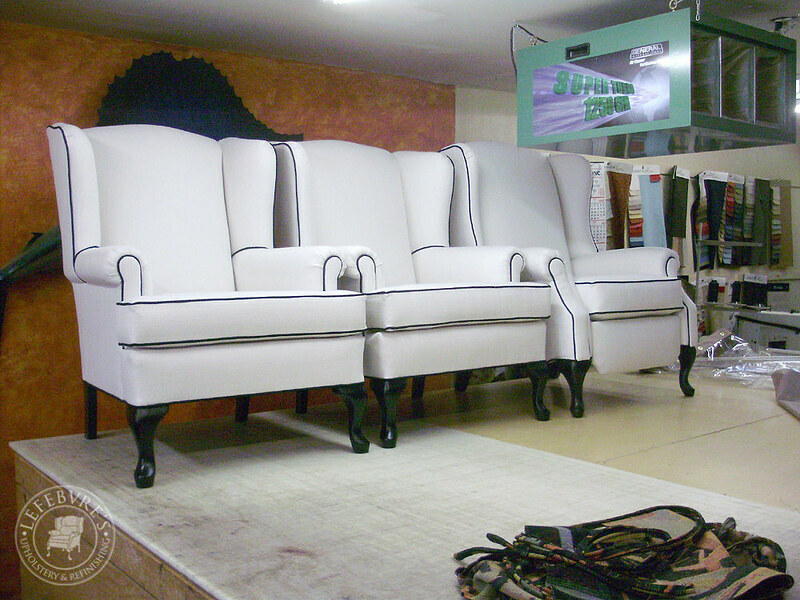 Three of the chairs went white and the fourth went black. 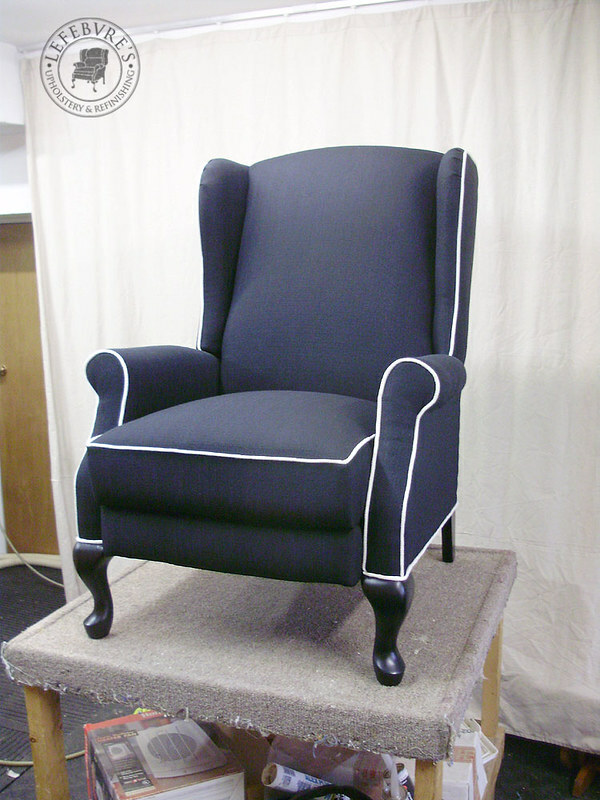 The legs were also repainted in coloured lacquer. 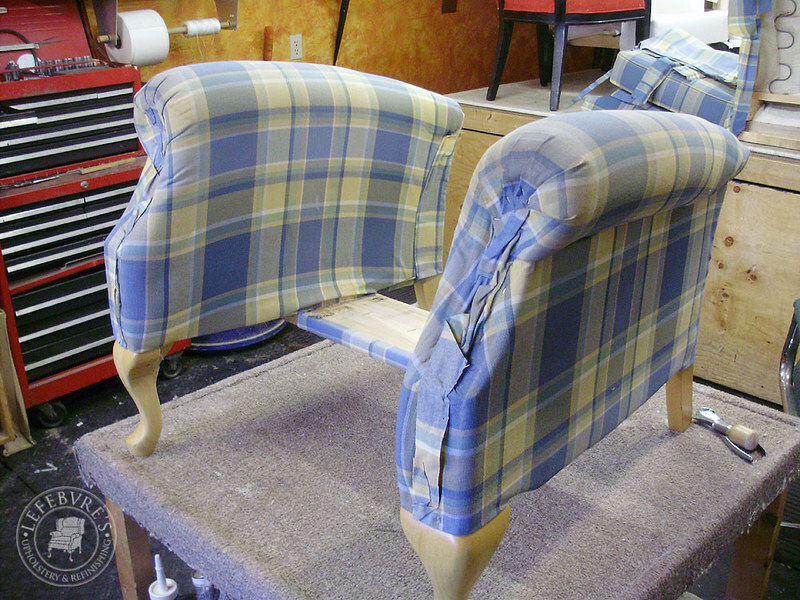 I forgot to take "before" photos of the 4th chair (the second reclining wing chair) but I took one or two in-progress photos as I was taking the old fabric off. 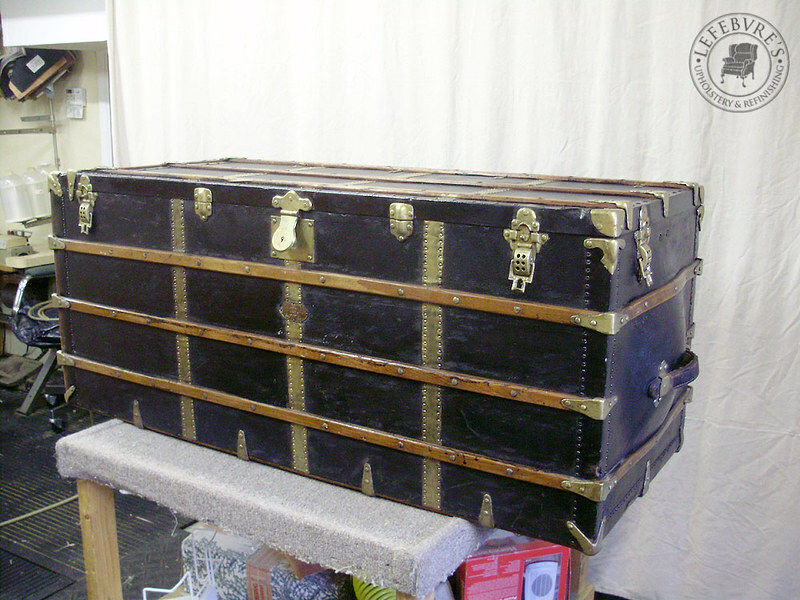 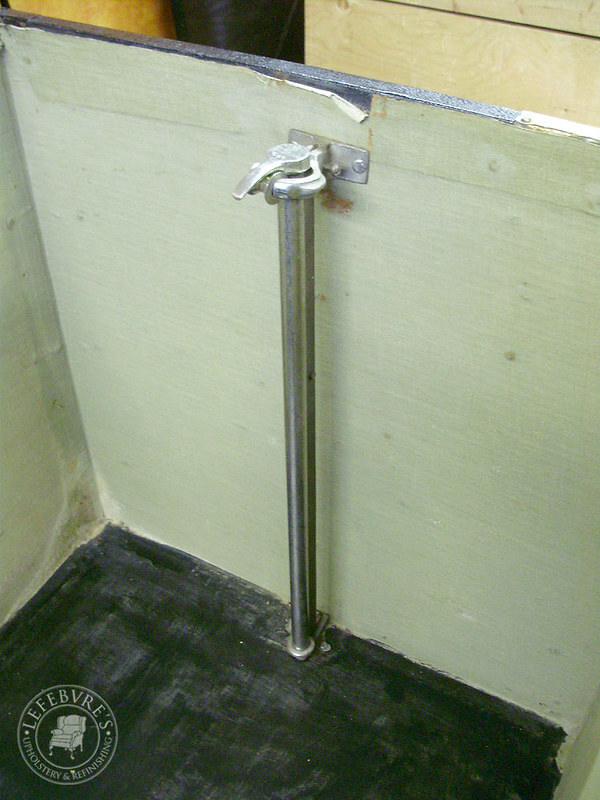 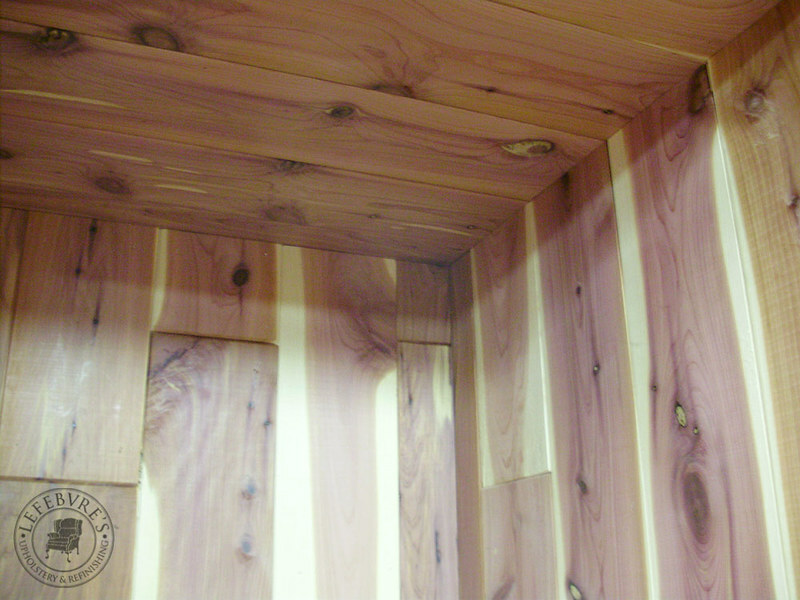 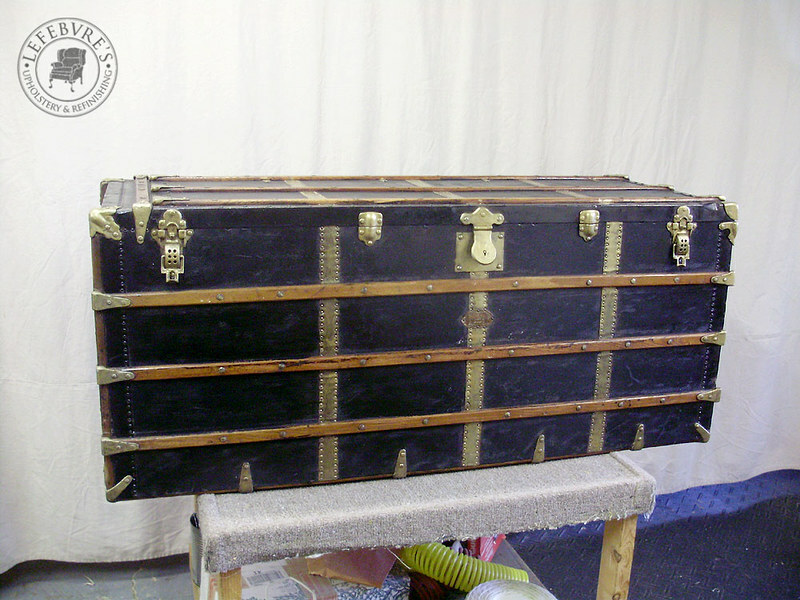 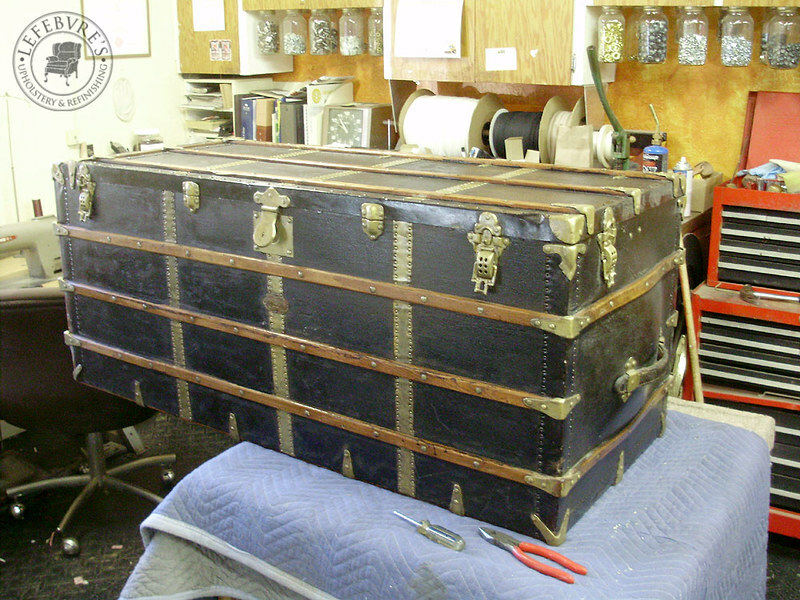 This project falls into our 'repair and restoration' umbrella. 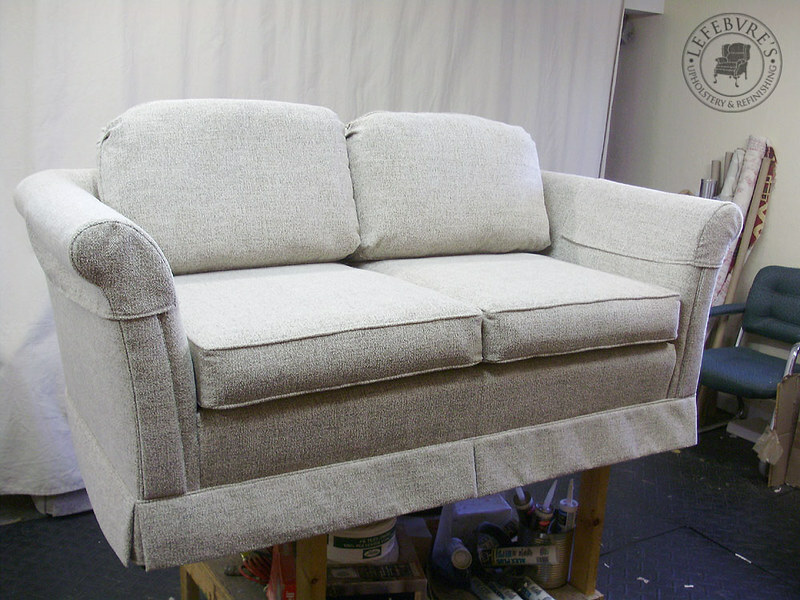 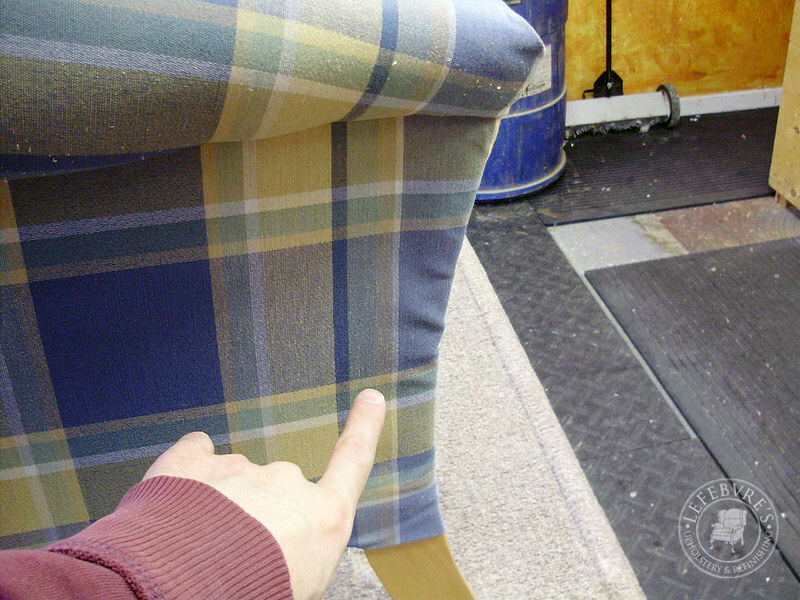 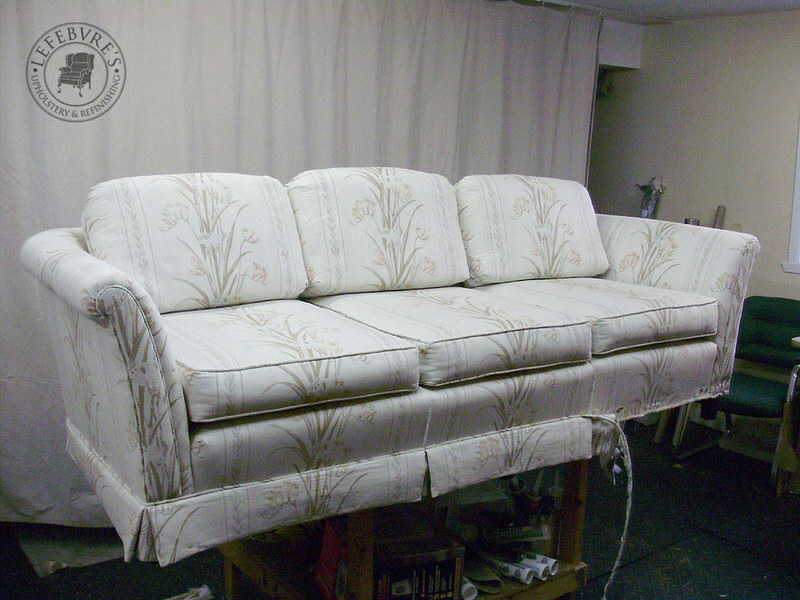 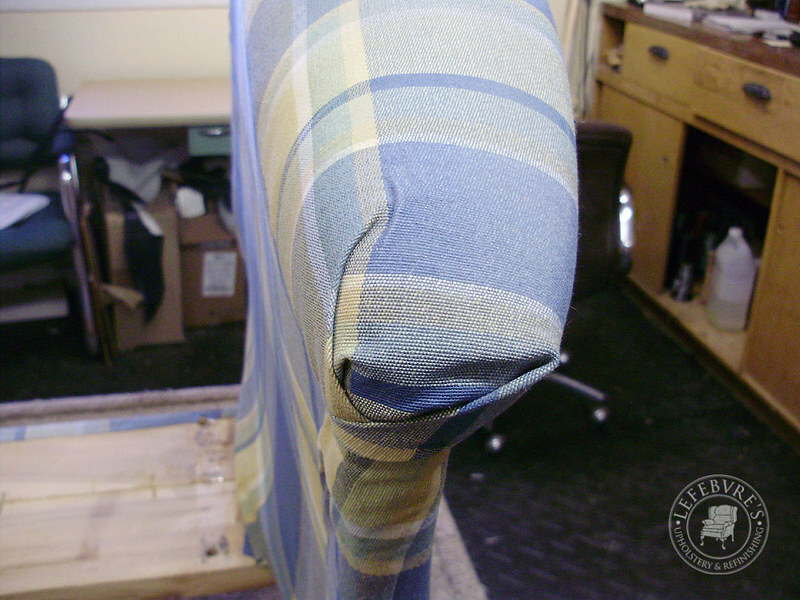 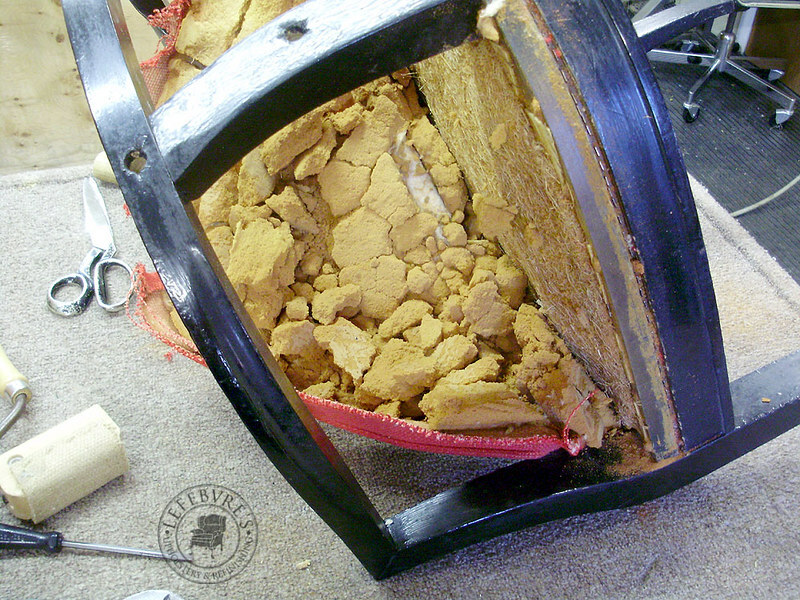 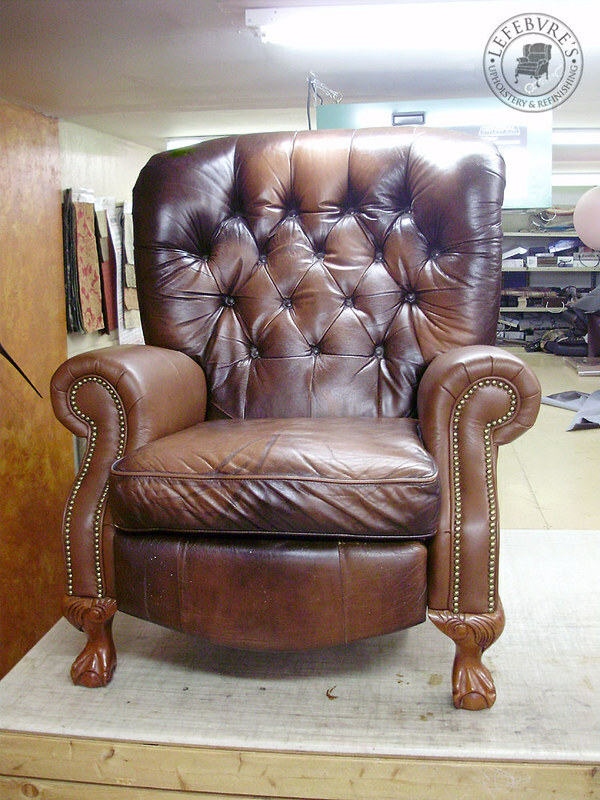 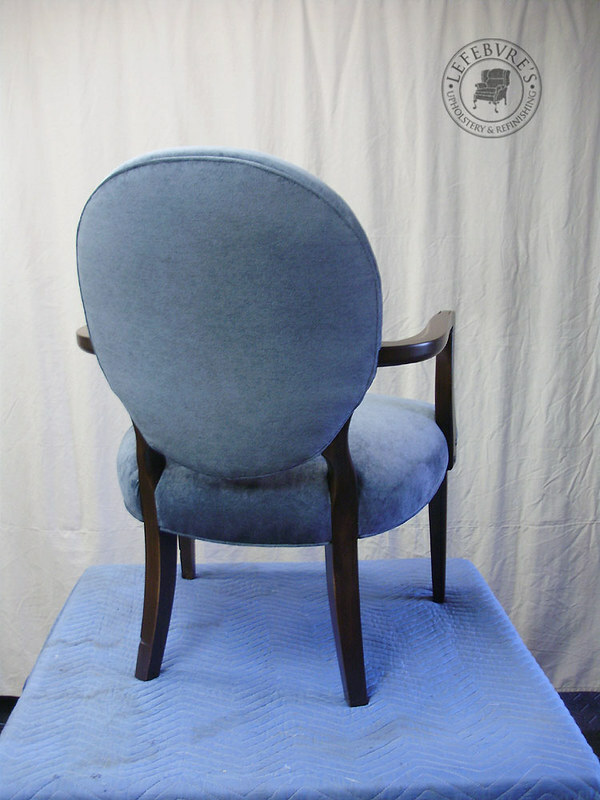 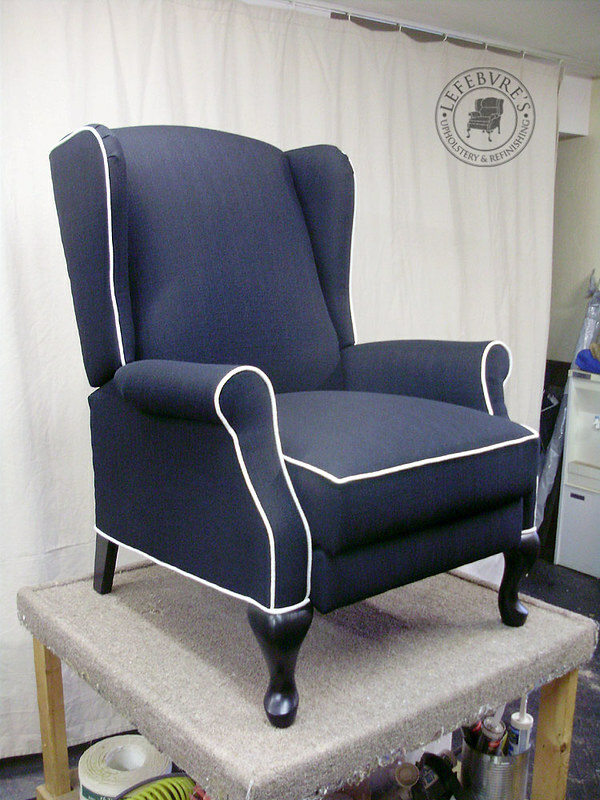 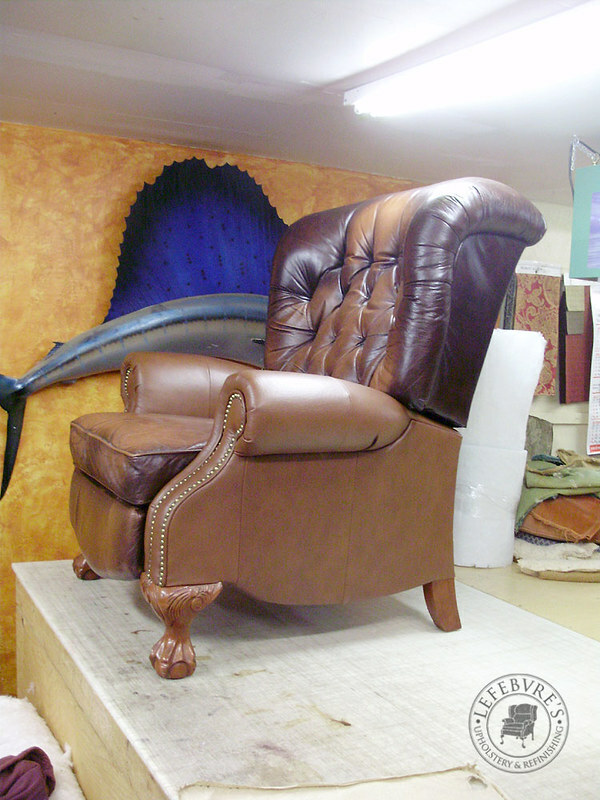 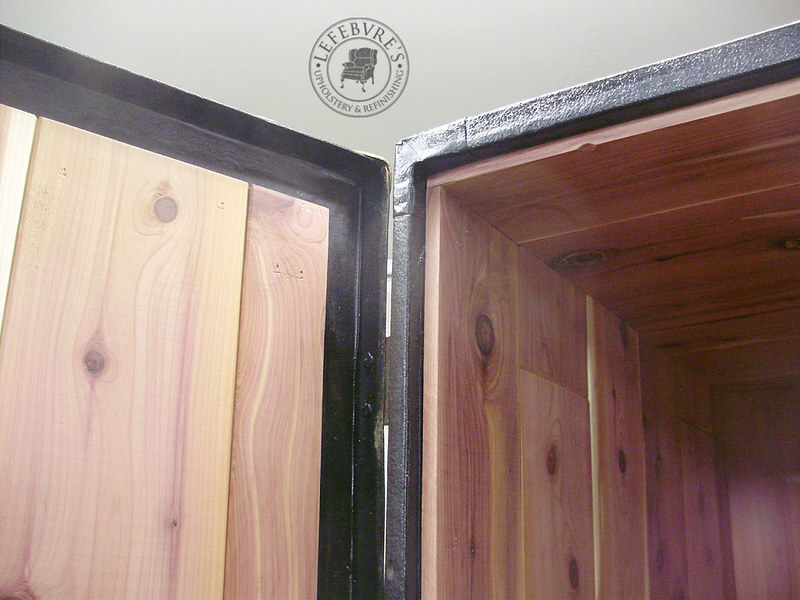 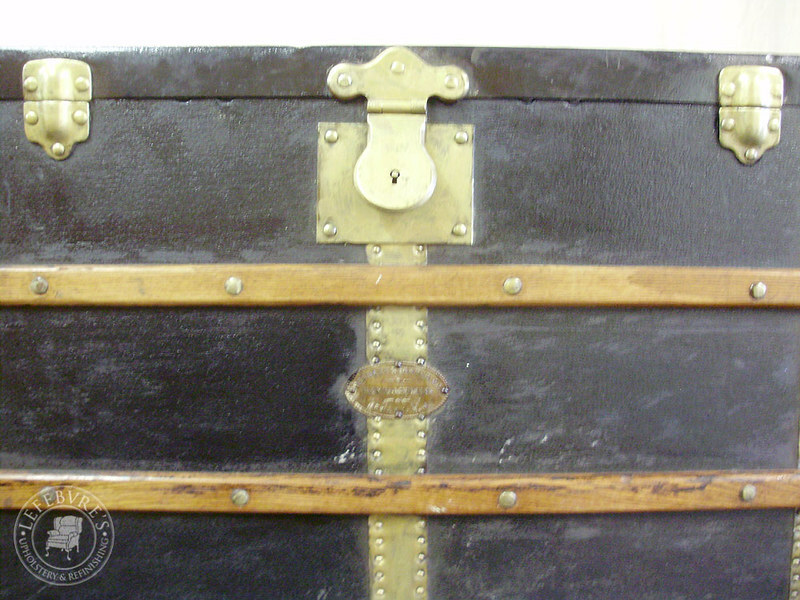 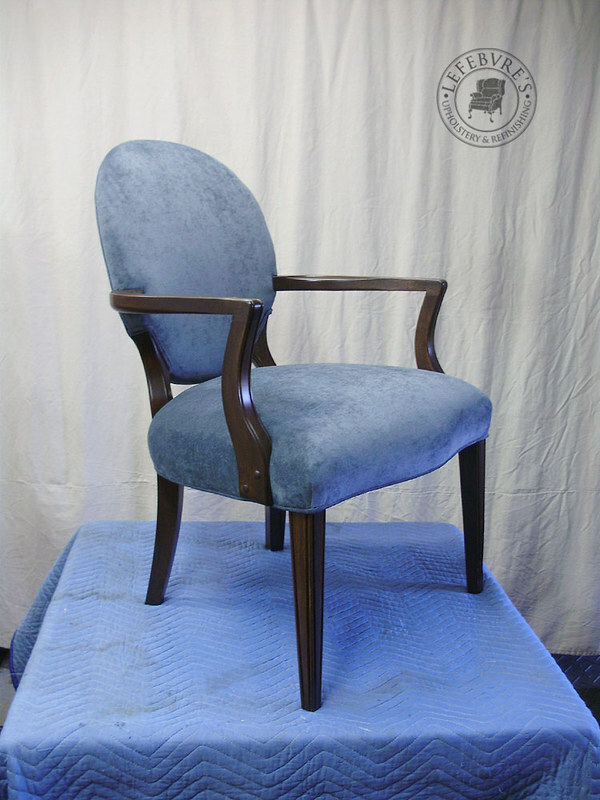 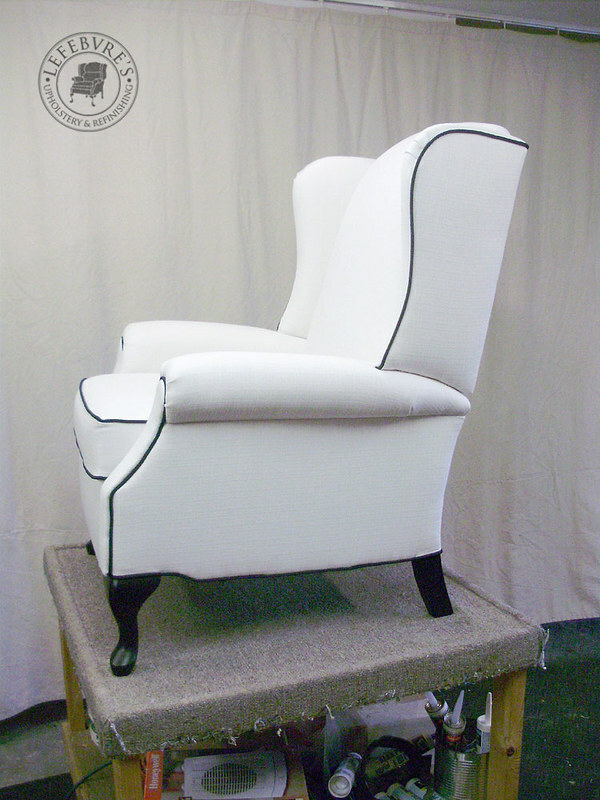 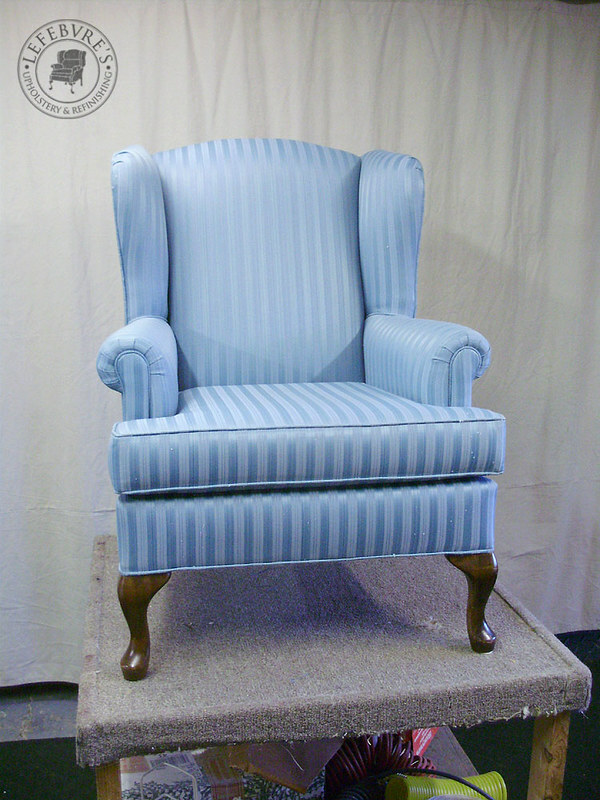 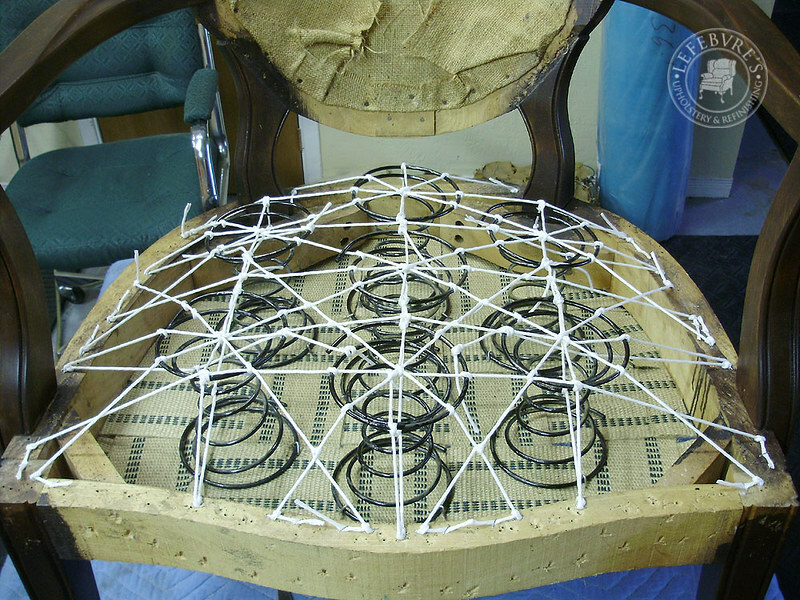 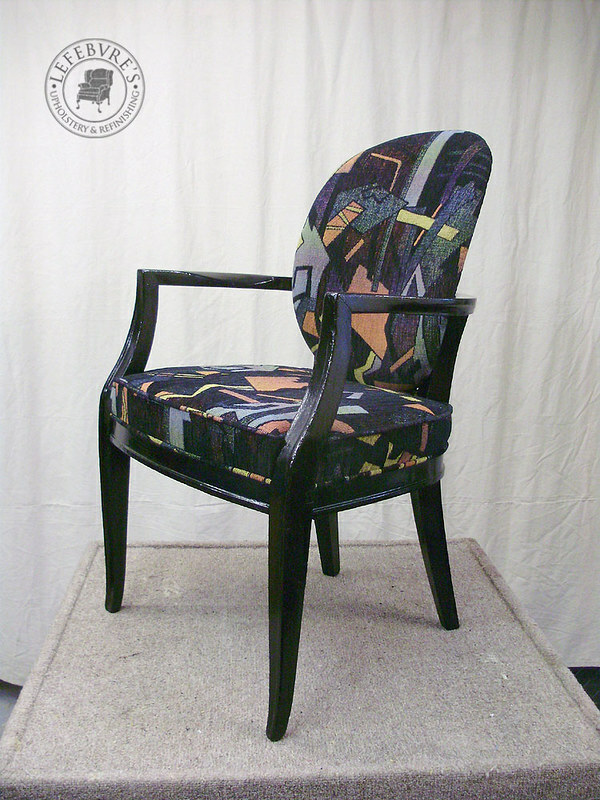 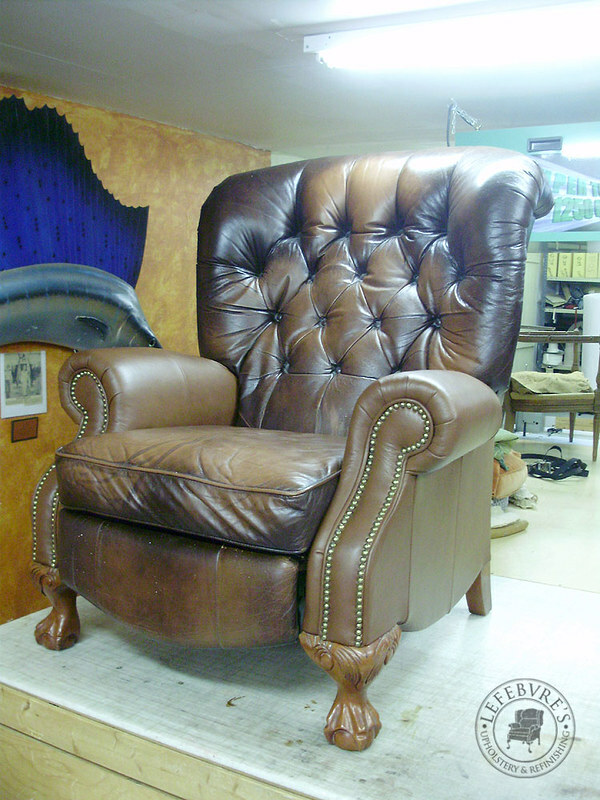 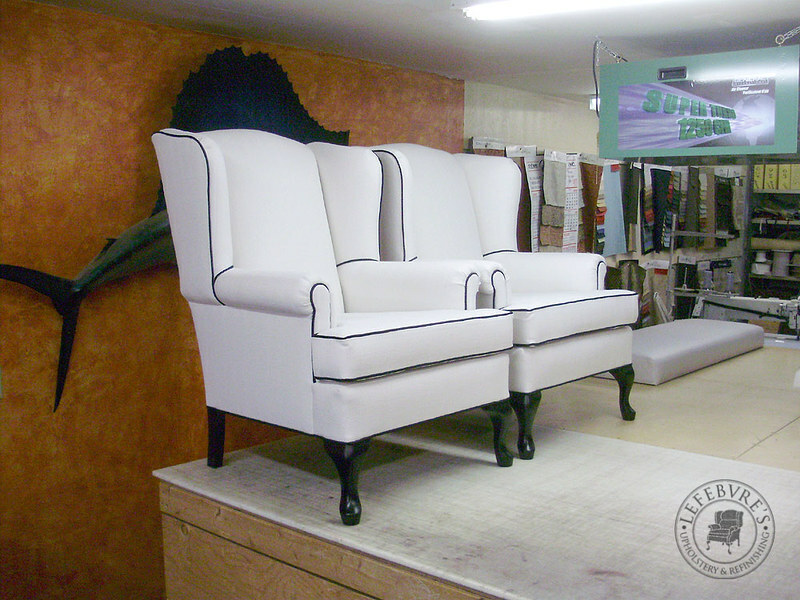 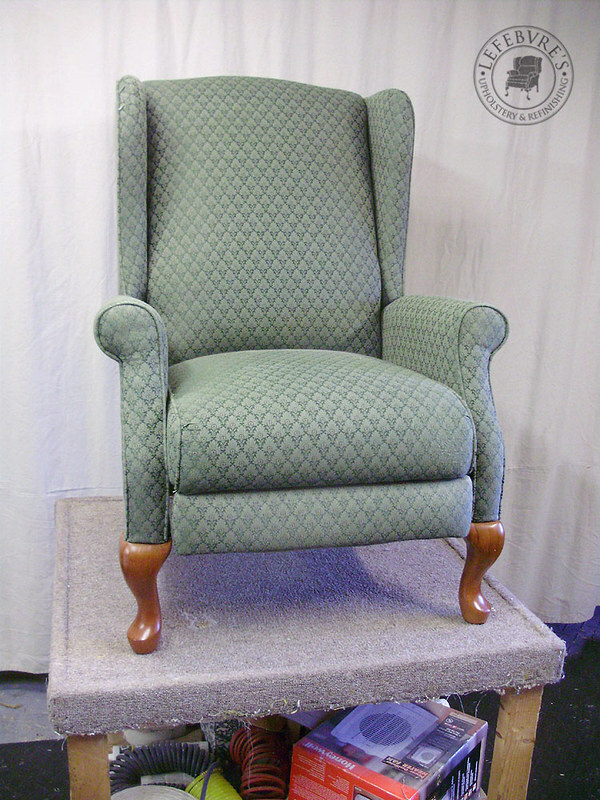 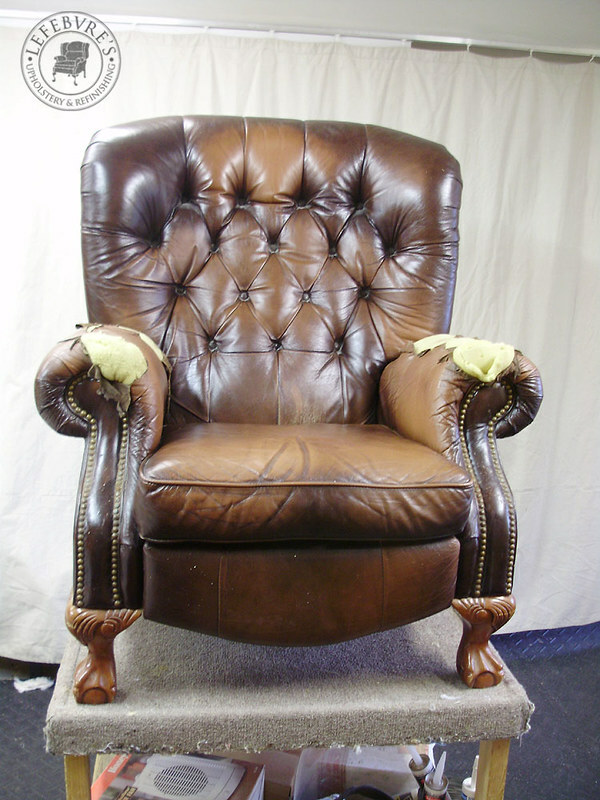 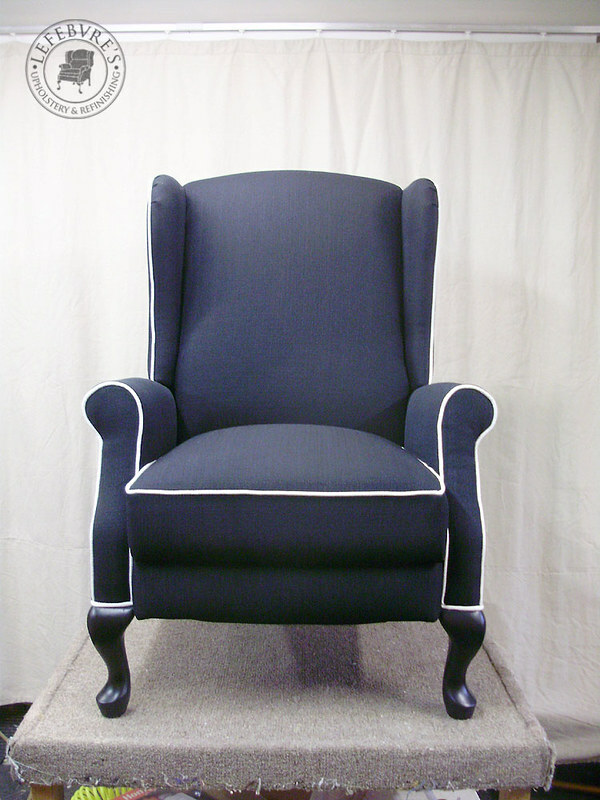 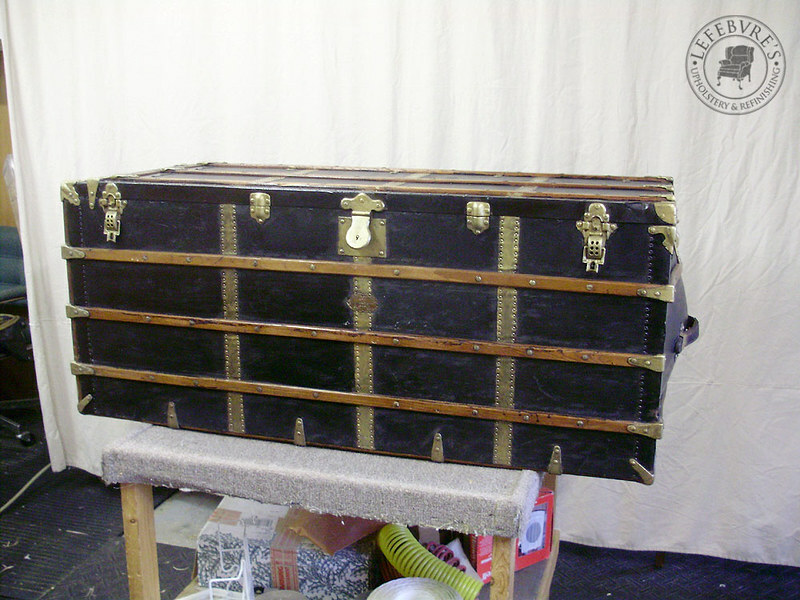 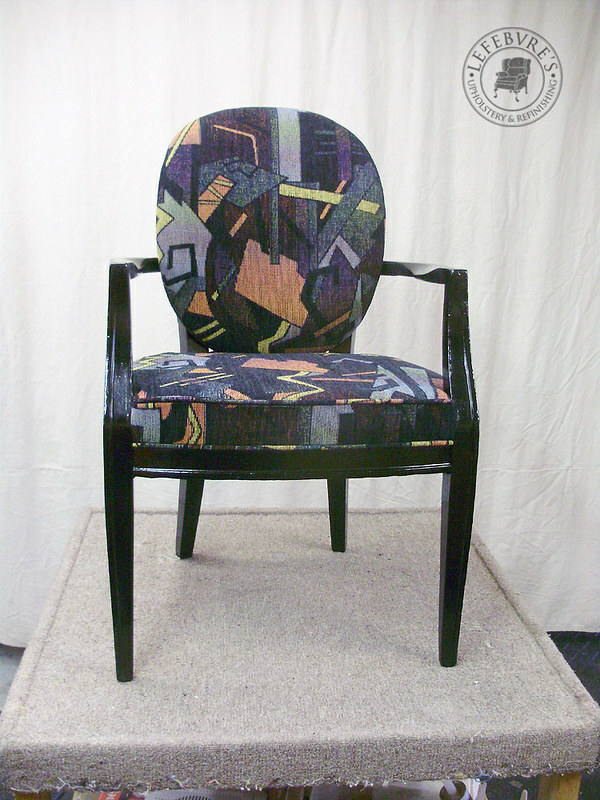 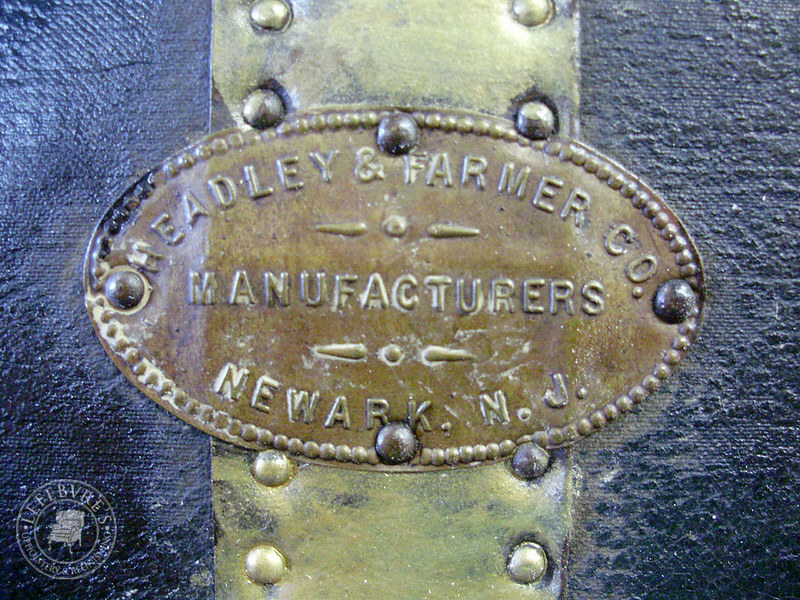 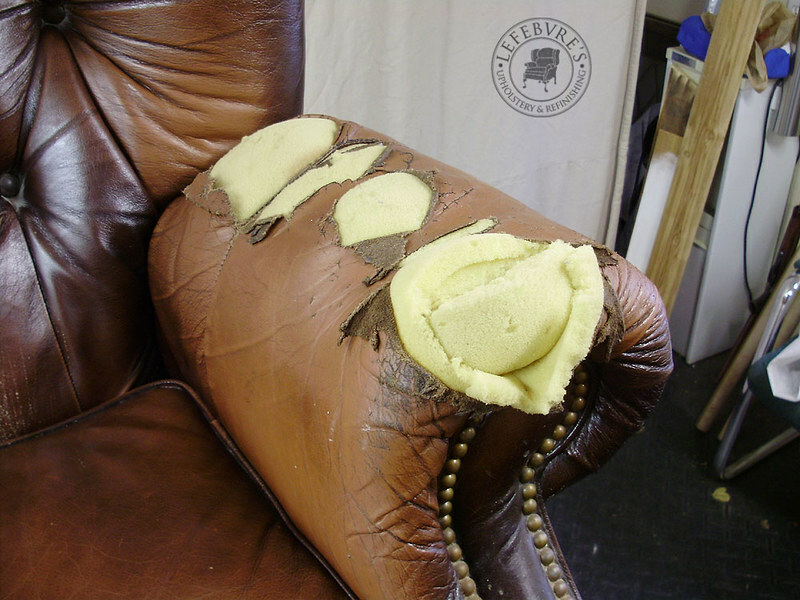 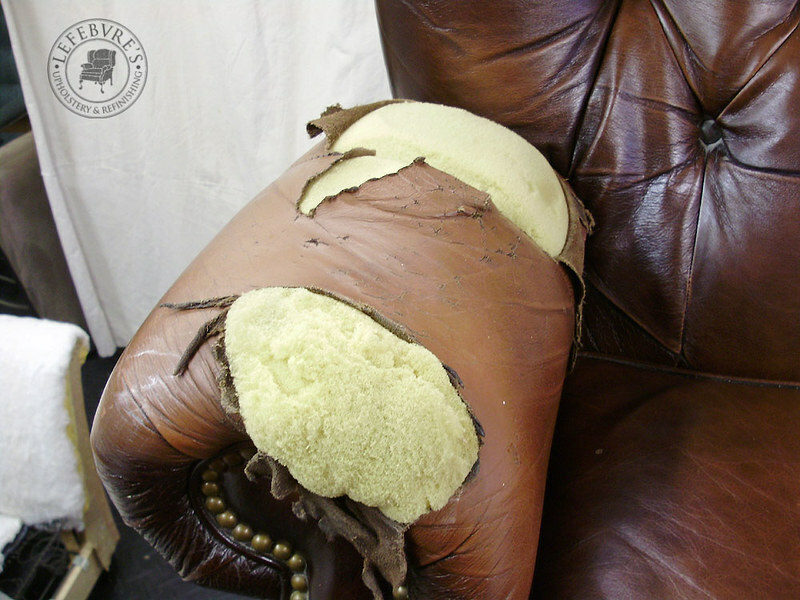 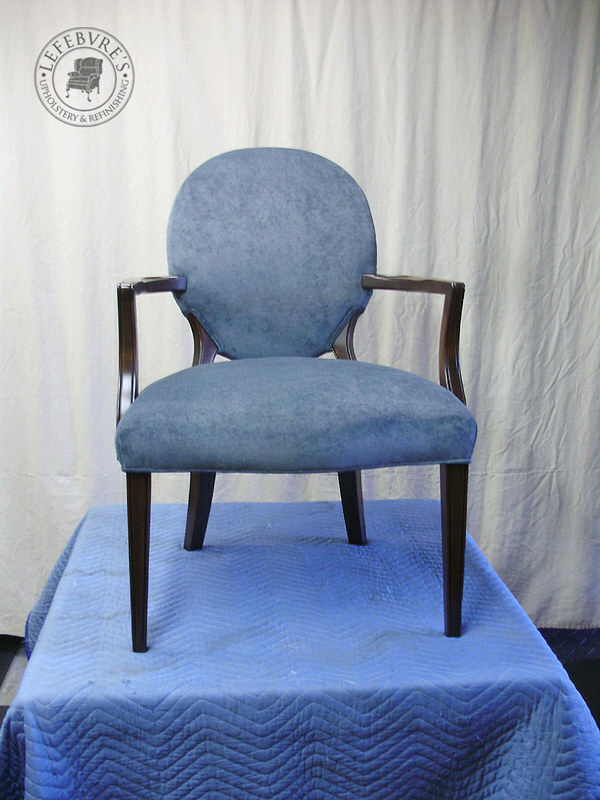 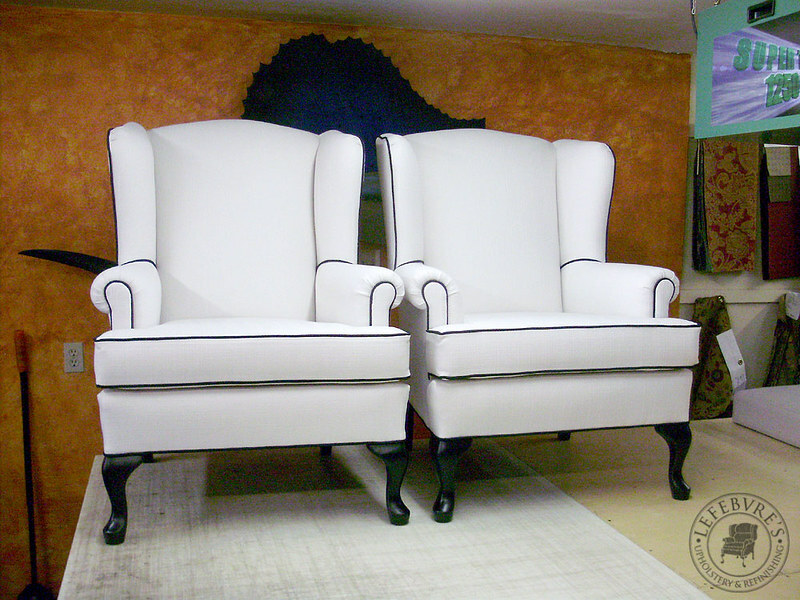 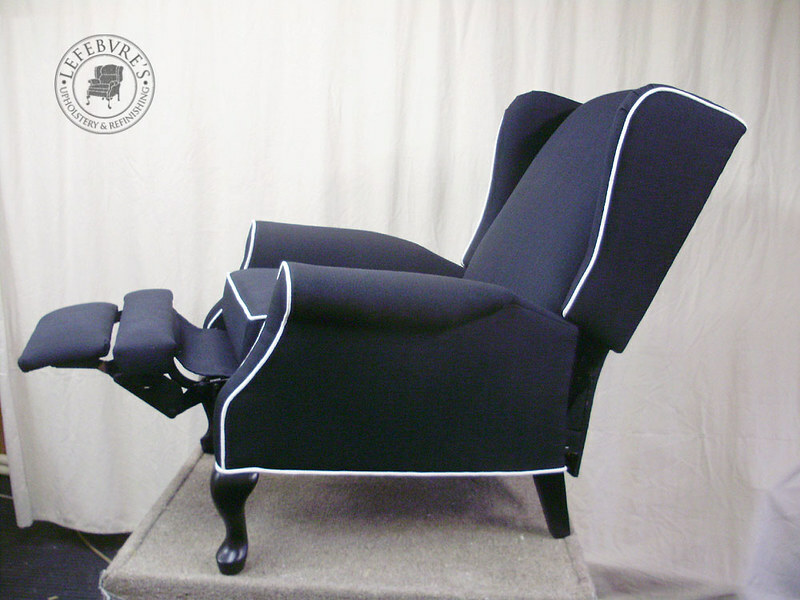 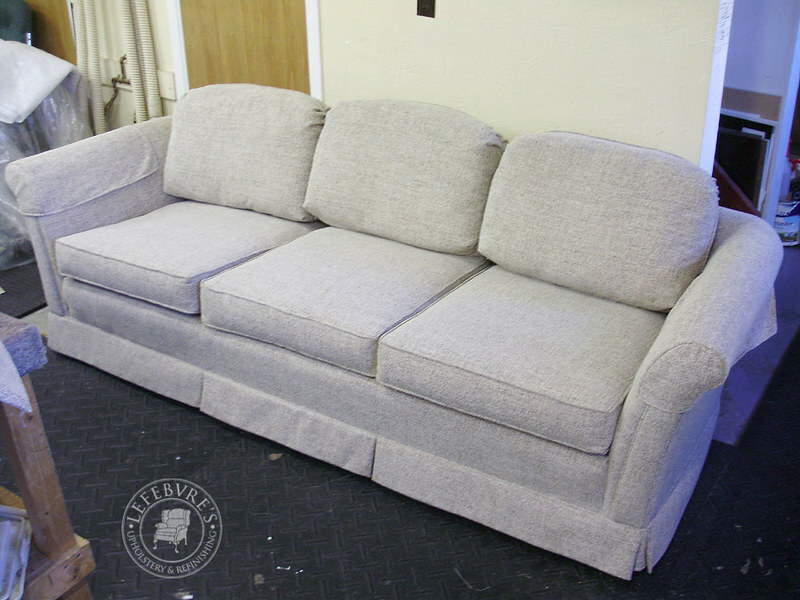 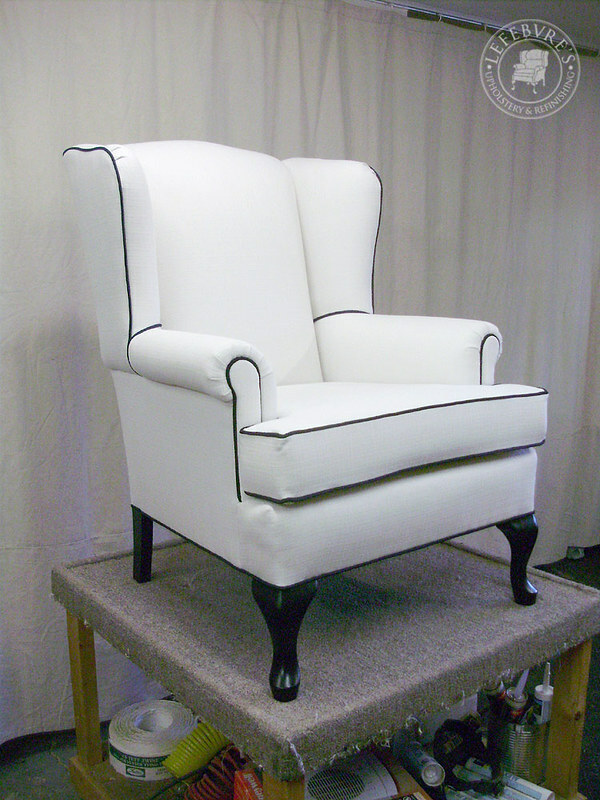 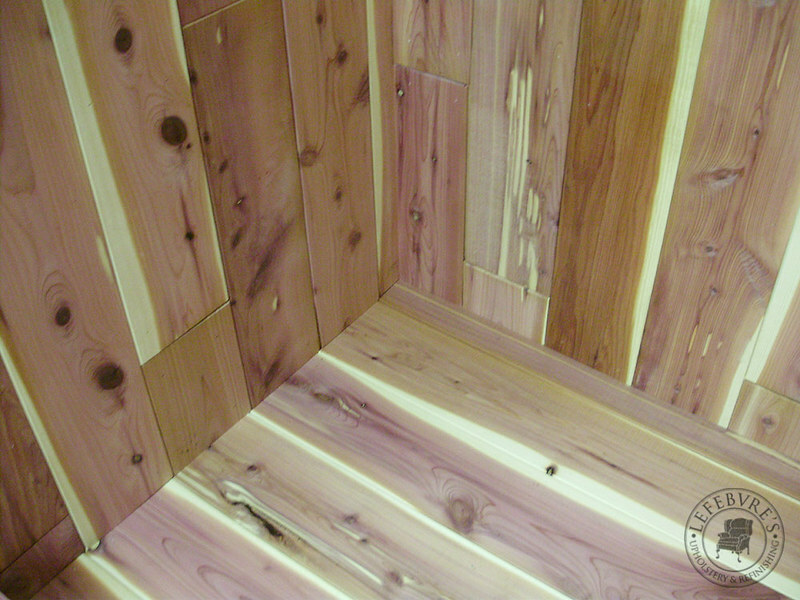 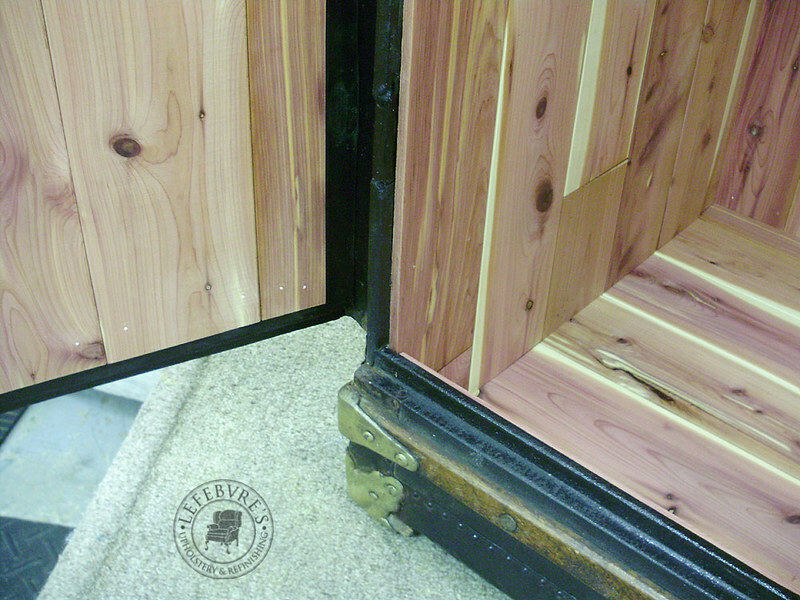 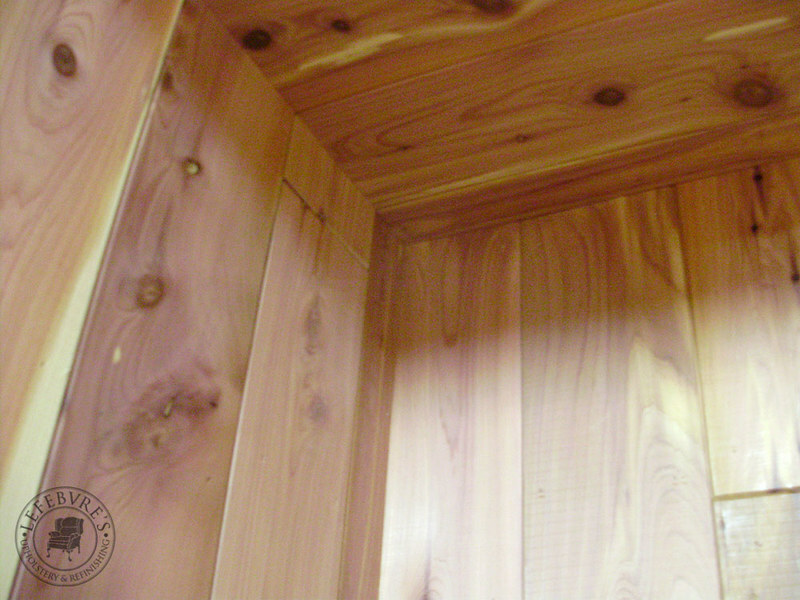 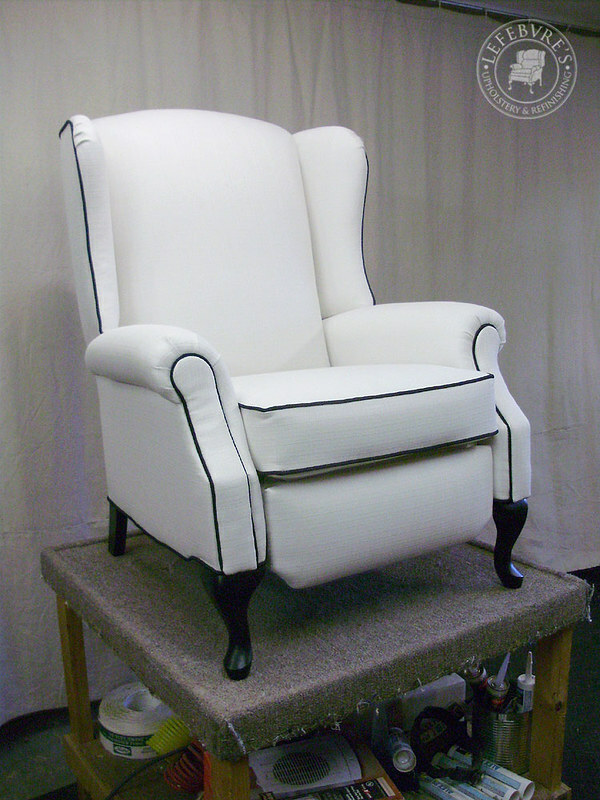 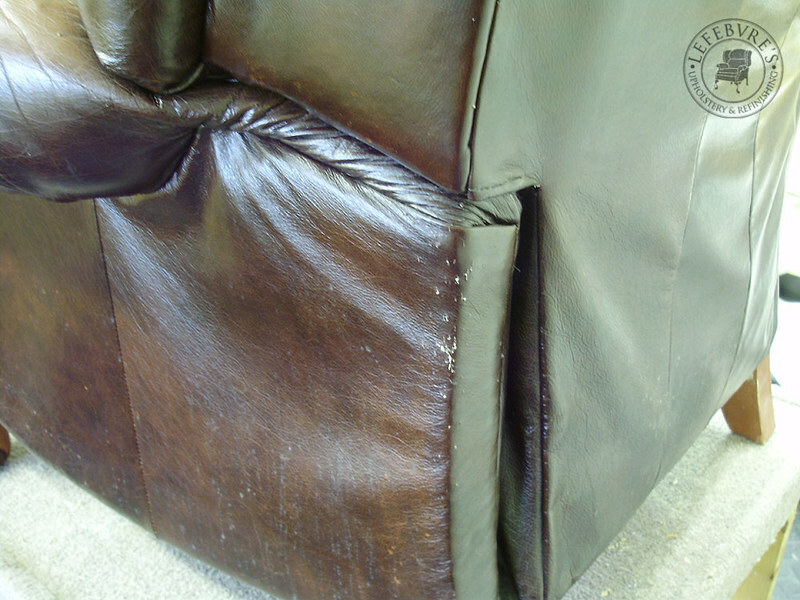 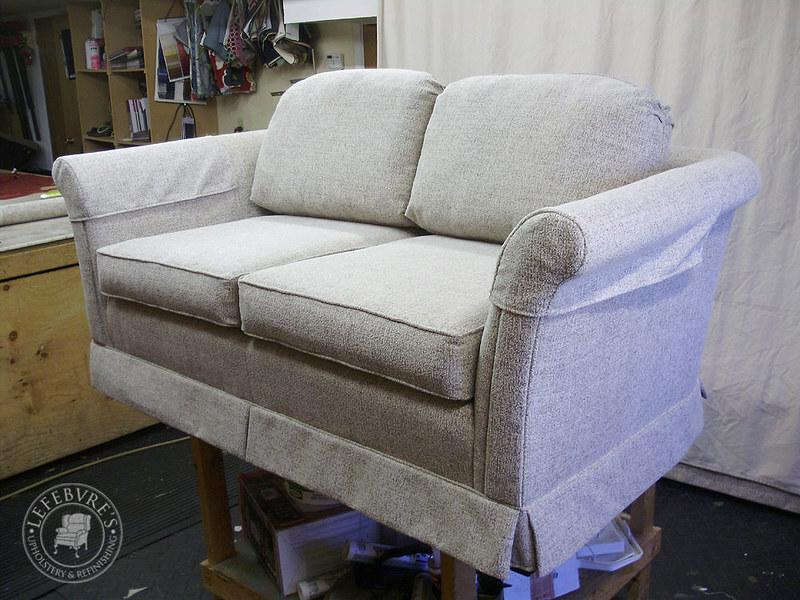 We mainly do upholstery, here at Lefebvre's Upholstery, but we also do refinishing and repairs. 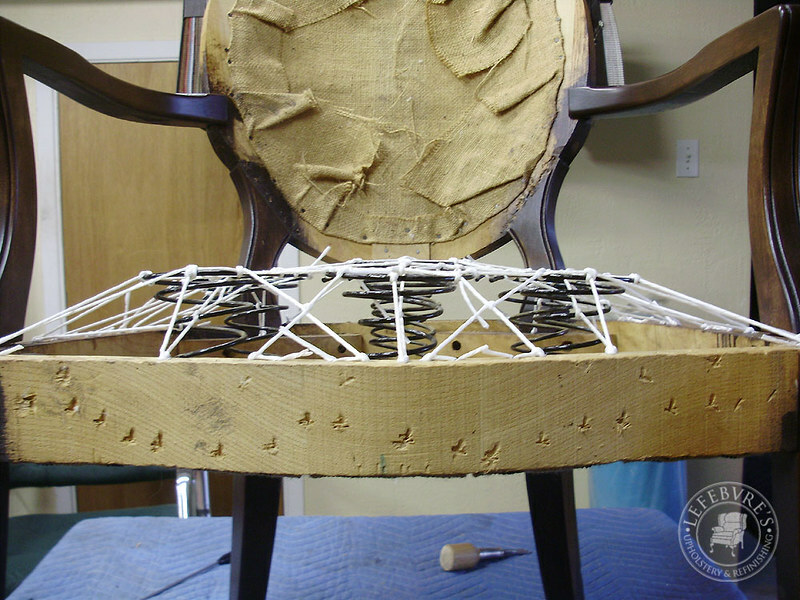 There are a lot of projects that don't get photographed. 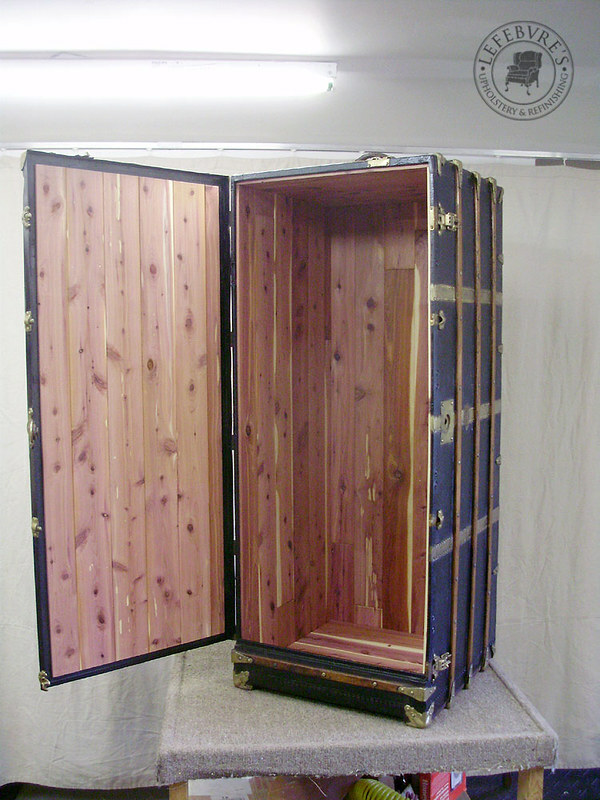 This was was interesting.